Nymo is a strong nylon thread suitable for all your beading projects. 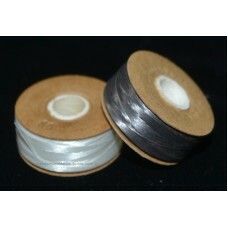 100 metres per bobbin in a mix..
Nymo is a strong nylon thread suitable for all your beading projects. 100 metres per bobbin, size 00..